Men's Cerakote Olympic Bar has a rating of 5 stars based on 2 reviews. Wow--these are sharp! Our new Men's Cerakote Olympic Bars offer another way to take your gym to the next level. Extremely scratch resistant and durable, the cerakote finish makes these bars 70% more corrosion-resistant than Zinc! The process: The bare steel bar is cleaned in an acetone solvent and sandblasted prior to coating. Once cleaned, the bar is then sprayed with the Cerakote color and placed in a special oven for baking. The coating is typically 0.001" thick once cured. Usable Sleeve Length: 16 1/4"
Nothing like a brand new barbell! I love my PRx Blue Cerakote barbell!! 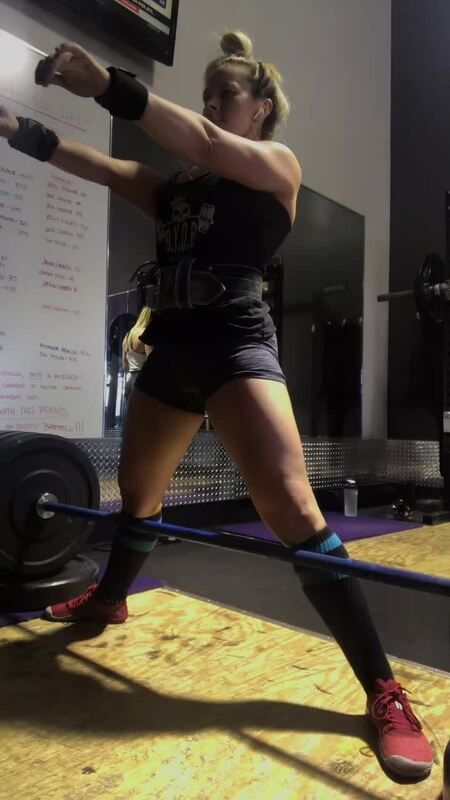 I’m a powerlifter gearing up for Nationals, so having a barbell that stands up to the weight & stays locked into place on my back & in my hands is super important. Highly recommend.